I hope you've had a good week and I'm looking forward to the updates today. A few more "Before" and "During" photos came in last week. It's thrilling to see the changes, hear the stories, and feel the momentum. 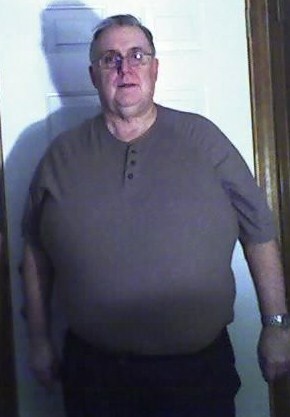 The photos this week are from a gentleman who is 71+ pounds down so far. When we first met back in January, he told us, "There's just too much of me." Now, as he's burning through his stored fuel, he's begun to share it forward and we're excited to be coaching several of his friends. Reaching out to others is one of the best ways to support yourself. Next time you place your order, consider getting the TSFL Cookbook. The recipes are easy, satisfying and yummy! Another item to add to your cart, if you don't yet have Dr A's Habits of Health, get it and its companion guide, Living a Longer, Healthier Life. You can order them as a set for $44.95. Question: Why do I keep trying to reinvent the wheel??? For the last few months, a small group of us have been meeting and going through the materials in Dr A's Habits of Health. For some reason (and I have a long history of this!) I wanted to make my own outlines, come up with my own suggestions, develop my own tools ... What I discovered (again) is that Dr Andersen and colleagues have done all the work for us!! The study materials are all laid out in the workbook, Living A Longer, Healthier Life. So, back to basics and back to the books ... this week, we are going to be reading chapters 13, 14, and 15 in Dr A's Habits of Health and completing Lesson 11 in the companion guide, Living A Longer, Healthier Life. I'll revamp the lessons in my blog, www.HealthCoachResource.com so you can continue to follow along! I'll paste the outline into the next blog/note. Quotes of the week ... there's quite a few of them! "I can't explain how good I feel ... I'm under 300 pounds for the first time in years. The fear is going away ... I know I can find myself again!" "I weighed in yesterday (Sunday), at 326, that's 45 lbs down from 371 I weighed when I started with you back in April. Dr. D. mentioned at my first meeting that it would be great if I could drop 50 lbs by the surgery date of June 11, and I thought it would be totally impossible to see this goal become a reality. It is a very good feeling and confidence-builder to be within 5 lbs of this and I know I can reach this by next Monday if I take it one day, one meal at a time, and keep doing light exercising every day. Thank you so much for for your endless enthusiasm and encouragement, which makes it easier to make the right decisions one day at a time. I'll let you know when I hit the 50 lb. mark this week, hopefully!" Recipe: Greg will post a newly developed recipe for a no grain, low carb/low fat quiche this evening ... he'll write while I munch! Share your favorites with us ... remember, it's not just about losing weight! It's all about coaching each other to become the vital people we really are!